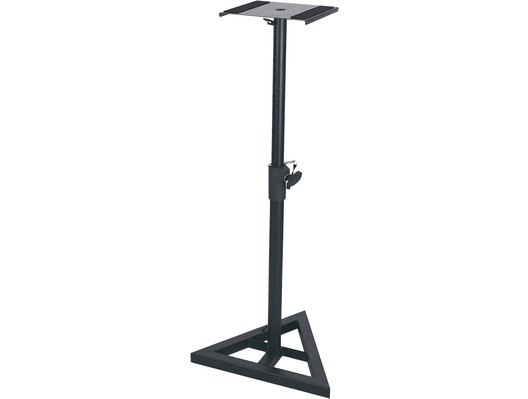 This QTX robust Monitor Speaker Stand is an ideal solution for studio, home or small projects. It can hold a variety of different speakers of up to 20kg. The stand has a low profile triangular base, and is height adjustable with a locking pin. This monitor stand comes with rubber feet and levelling floor spikes.